We spent Christmas in El Chalten, the trekking capital of Argentina. We arrived in the evening of December 24th, looking for a place to spend the night. We found refuge in a small hostel and shared a delicious meal with great people. Christmas day was snowy and rainy, which allowed us to rest, buy our tickets at the bus terminal and plan the rest of the trip. There are daily bus rides from El Calafate to El Chalten. Ride takes about 3 hours and cost 350 ARS per person (USD $25). Same goes from El Chalten to El Calafate for 300 ARS. By foot! All trails start from the town center. The town is very small and easy to walk from one point to another. We arrived on December 24th at 9pm in El Chalten without a hotel reservation. Most hostels were already celebrating and were full. We found a place to stay at Refugio El Chalten, a basic, clean and homey hostel owned by a lovely local family. We paid 350 ARS (USD $25) for a basic, clean double room with shared bathroom. There are also dormitory beds. Refugio El Chalten, you can see the hostel from the town center. There is a campsite in town called Camping El Refugio if you have your tent and gear. Second part of other possible trek ideas. All bus information below is accurate as of December 2015. There may have been changes since. Always check current bus schedules as you arrive to the bus terminal or with your hostel. Daily buses from El Chalten to Perito Moreno (town) and Los Antiguos departing at 8pm for 1,200 ARS (USD $85) per person. Book this voyage ahead of time. Direct buses only leave on odd-numbered days. The bus company Taqsa offers direct bus from El Chalten to Bariloche for 2,120 ARS (USD $150) for a bed (cama), 1,750 ARS (USD $125) for semi-cama, with dinner and breakfast. Ride takes about 23-25hrs, departs El Chalten at 8pm and arrives around the same time the next day in Bariloche. Other companies offer the same voyage with an overnight (not included in the price) in Perito Moreno. How was your trip to El Chalten? What else did you do in El Chalten? Share your experiences with us! We love to hear from you! 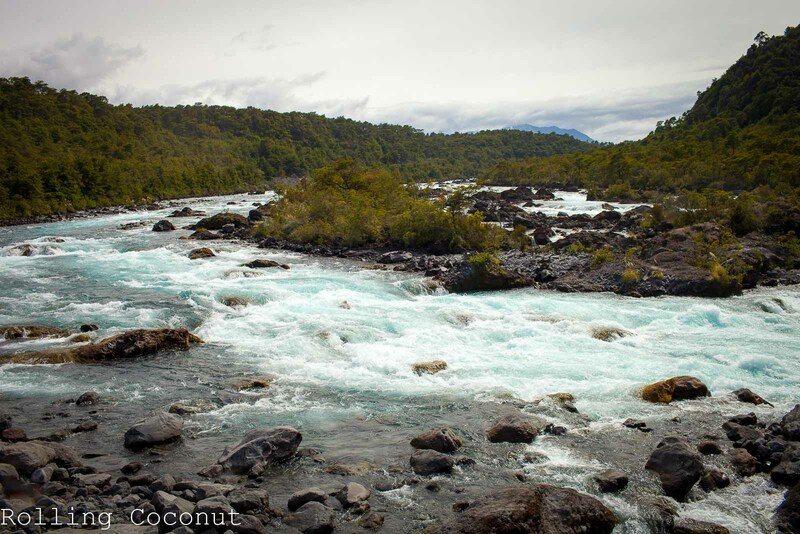 Check out this post from Dream Depart Discover for trekking Two Days in El Chalten, Argentina.